Mobile Disco In Brownhills in the Midlands. We provide all types of Mobile Discos In Brownhills including Wedding, Birthdays, Christening, Anniversaries and any other special occasion. Please have a good look at my website, and you will see that we offer many different services in Brownhills. We provide all the services from our head office within the Midlands area, and these include the following. Mobile Discos and DJs, Party and Wedding DJs, Balloons, Centrepieces, Chair and Table Covers, Confetti Cannons and Photo Booths. Led products are also very popular, and we only provide high-quality products in Brownhills. These include the Following. My Name is John Reynolds and the owner and Manager of Mobile Disco Birmingham. 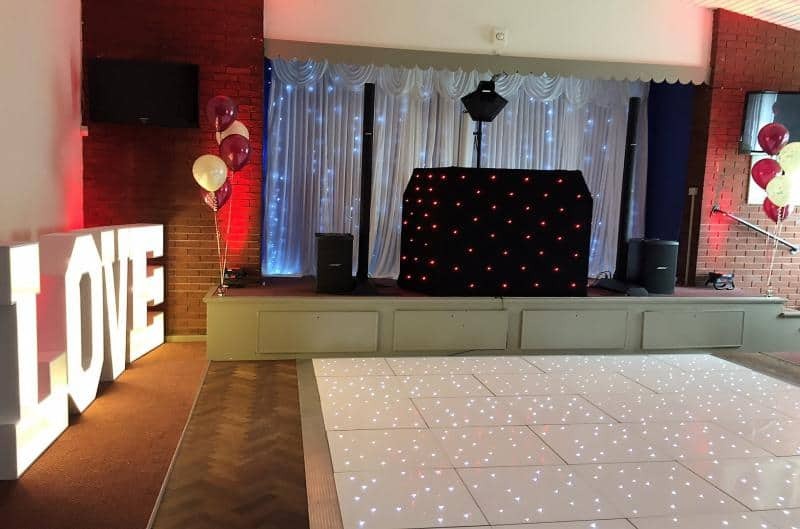 We have been providing Mobile Disco in Brownhills for over 20 years and have an excellent reputation for delivering high-quality services and products. We believe we offer value for money at competitive prices. Being Full time and not a hobby means we are always around to answer phone calls and emails. All emails typically will be responded within one working hour. Please complete the form and we will get back to you. The Date of your Event – We need to know if we are free. Name of venue – We may know your venue and understand your needs better. Your Budget – we can try and quote within your preferred budget. Times – Example 7.30 and finishes at midnight. High-Quality 4ft Led Love Letters and very popular with Wedding and Anniversaries. Led Bulbs can be set to many different colours to suit your theme. Gives you the Wow factor and looks great in your wedding photos. Leds can match your theme and can be set to make many different patterns. Mainly used for weddings and look fantastic on your wedding photos. Ideal as an add-on to a Mobile Disco as it gives you the Wow Factor. Fantastic for centrepieces for tables and decoration around your venue. Ideal for all occasions including Birthdays, Christening and Wedding. Only use high-grade Chair covers and will fit most banqueting Chairs. We also supply many different colour sash. Package 1 - Mobile Disco In Brownhills – Standard Mobile Disco with Experienced Dj – ideal for smaller venues and events. Two Speaker Sound System, led Powerbar light system, Dj with at least Ten years experience. LED Black Booth Curtain, Music till Midnight. All electrical items are Pat tested and 5 million pounds public liability insurance for extra peace of mind. Package Two - Mobile Disco In Brownhills – Upgraded Mobile Disco with Experienced DJ and Uplighters – Ideal for larger Parties and events. High-Quality Db or Rcf sound system, The Fantastic and Popular Martin Rush Light system. V2 Black Led Booth Curtain, four uplighters set to your required colour, Music for up to 5 Hours. All electrical items are Pat tested and 5 million pounds public liability insurance for extra peace of mind. The Brilliant Bose L1 with B2 Subs, Synced Martin Rush light system, V2 Multi Colour Led Black Booth (top of the range). Evening set up and up to 5 hours music, Free Large Love letters or Led Post Box for Wedding and engagements. 6 up lighters set to the colour of your theme or to suit your venue. All electrical items are Pat tested and 5 million pounds public liability insurance for extra peace of mind. You can update to the Mr and Mrs Letters for a small Fee. Get a Quote, Agree on Services and Price, Send you online booking forms, Sign. Pay 25% Deposit and then you are booked. Simple but Easy. Your Booking in Walsall is now Confirmed. We have an excellent reputation for fantastic customer support and believe this is essential to any Successful Business. We respond to all emails generally within one working hour. Click on our Guestbook Comments Page for some amazing reviews. We also have plenty of written letters as proof of our reviews. We have provided many different services and Mobile Disco in Brownhills over 20 years, Below are three of our favourite Venues. There are many factors why we do not put prices on our website. Many our customer’s requirements are different to others. Example January would be off-peak but August would be peak season. Also, a Sunday night would be cheaper than a Saturday night and maybe you may require extra hours. We love Music and have a passion for making your party a huge success for you and your guests. We regularly update our blog page and there are many customer posts on our testimonial and guestbook page. You can even send us a playlist via email with all your favourite songs. All our Mobile DJs are reliable and professional. 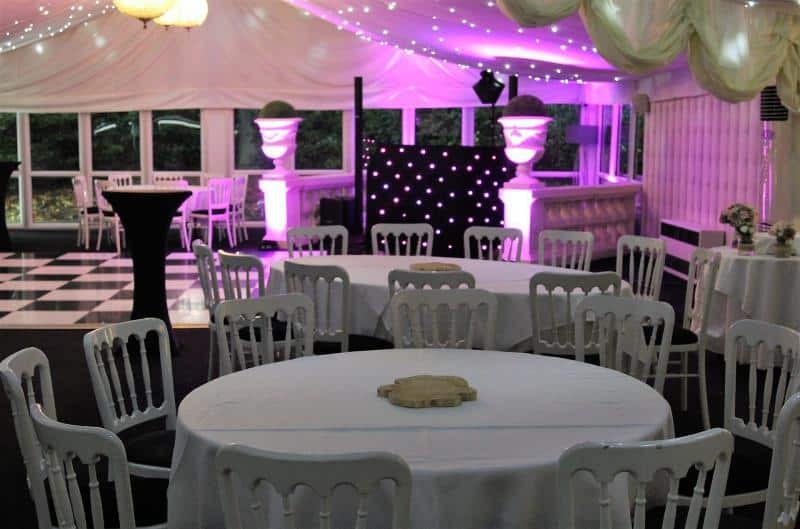 We have a range of experienced DJs available to suit all types of events. Public Liability insurance. Another important thing your venue may require and also gives you peace of mind with 5 million pounds cover. Your venue may need proof that your entertainment company equipment is safe to use. We can provide certificates direct to your venue if required. Please look around my website, and if you do need any more information, please contact us by either phone, text or email.